Since then, L3 EDD has delivered many dozens of different customer inspired variants and shipped thousands of high reliability MPM subsystems. Far more than any near-peer competitor, as the premier vertically integrated design and production team, were controlling every aspect of design and manufacture of these advanced RF products. 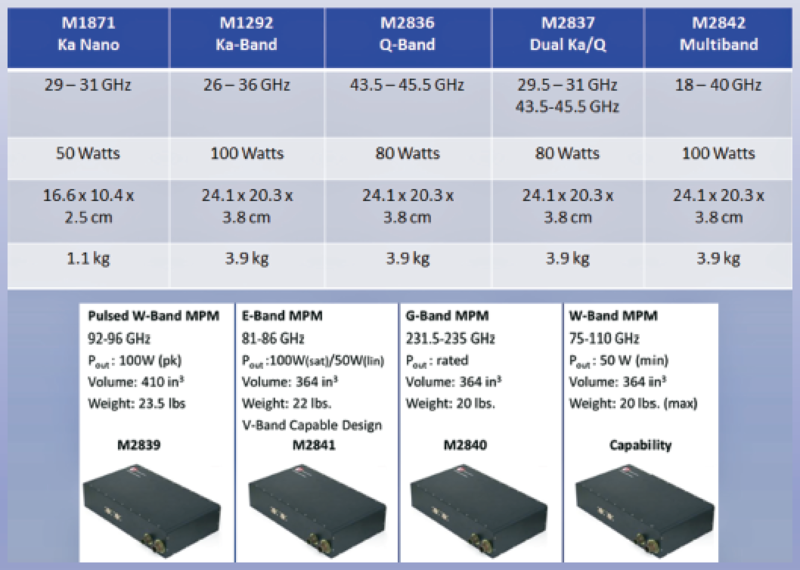 During the past half dozen years or so, a significant surge of Millimeter Wave applications (K-, Ka-, Ka-/Q-, Q-band) has driven the development of the MPM form factor as the product portfolio. In that period, a lower power 50W Psat, 22W Linear Ka-Band NanoMPM product was introduced to serve that surge. 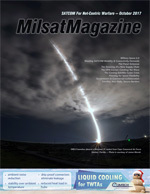 However, now, even with global regulatory issues to still be resolved, Upper Millimeter Wave is preparing to potentially radically change MILSATCOM and Commercial SATCOM after many quiet years of advance experimentation and hardware development to serve emerging Q/V-Band and W/V-Band applications. L3 is now positioning the company’s MPM product line to service = these new frontier segments. Why The Adoption of the Term Upper Millimeter Wave? The simple answer is reference differentiation. Millimeter is such a generic term nowadays and, within the MILSATCOM and commercial SATCOM worlds, that term has typically meant mostly Ka-band, as well as Military Q-band for AEHF uplink applications. The technology that enabled those segments is mature and now other innovative solutions are needed to drive the next generation of uplink/downlink communications systems at 50 GHz and above — thus, Upper MMW. It's also a convenient way for L3 to categorize the new Q/V and W/V segments and measure strength of demand for investment. The opportunity, or threat, however one might see it, in this new Upper MMW paradigm is significant and the company believes that the L3 MPM products are a legitimate game changing enabler. L3 is introducing a range of new products in Upper MMW based upon the company’s serpentine waveguide technology. L3 EDD M2841 MPM 81 to 96 GHz 50 Watts Linear. 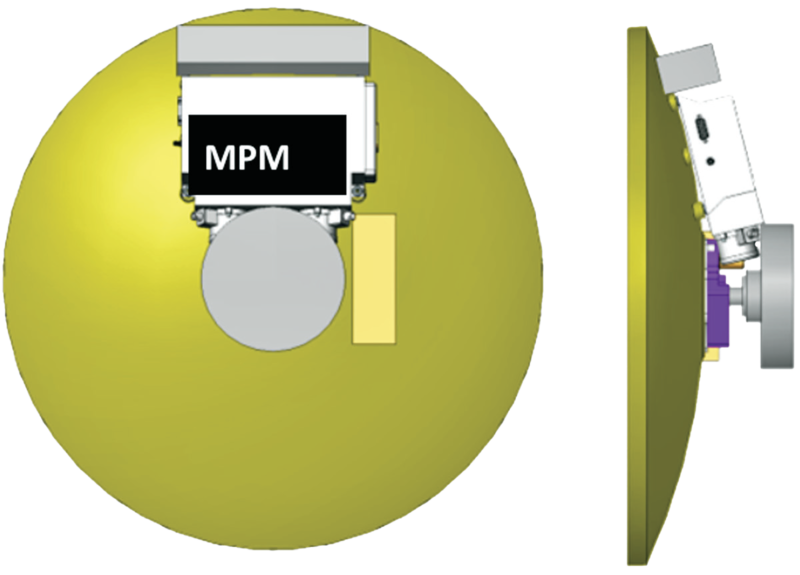 For instance, at the recent Satellite Innovation Symposium held in Silicon Valley, the company introduced the M2841 (81-86 GHz) E-band MPM, which is now receiving a great deal of attention. While this demonstrated technology capability now ranges past 230 GHz, one of the primary Upper MMW segments for Comms of interest to L3 is what’s being called the “W/V” segment, which is the use of the 71 to 76 GHz range and the 81 to 86 GHz range. Notably, there is some existing nomenclature confusion due to agency designation crossover. 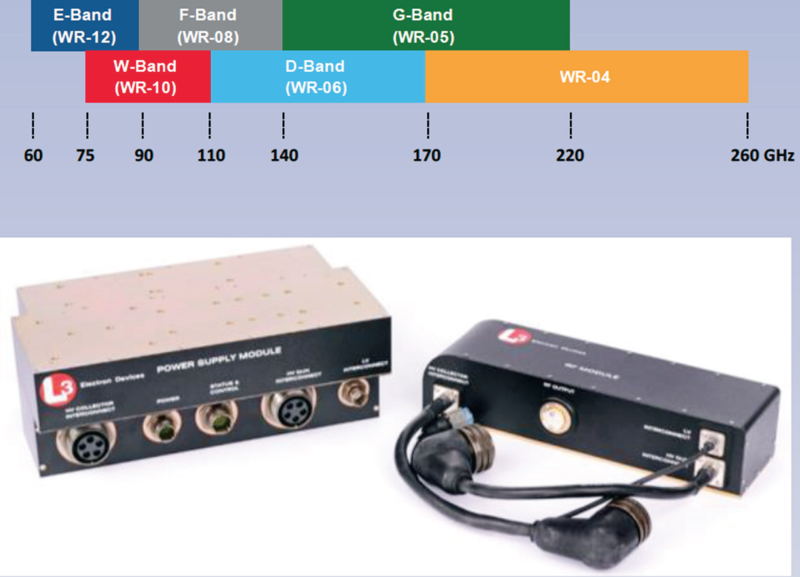 For instance, the IEEE V-band frequency identifier designates 40-75 GHz as the applicable range of coverage and then W-band as the 75-110 GHz range. However, other commonly used Waveguide frequency band designations, such as Q-band (33-50 GHz), which is often associated with MILSTAR/AEHF for example, and E-band (60-90 GHz), are often interchangeably referenced. Presently, the 71-76 GHz and 81-86 GHz bands are being considered, among a range of alternatives, for ultra-fast, high capacity terrestrial internet and other purposes, including wireless backhaul. From a MILSATCOM perspective, there is published USAF interest in cooperatively using V-band (71-76 GHz) as a spaceborne downlink with a complementary uplink in W-band (81-86 GHz). The interest doesn’t stop there. Several of the new space and/or “high speed internet for the masses” groups who don’t necessarily care to be mentioned by name are considering the advantages of migrating to Upper MMW, given the significant amount of enabling technology already available, in combination with system performance analyses, such as atmospheric attenuation, and so on, that has already been performed. Recent space borne channel propagation impairment and mitigation experimentation have yielded throughput advancements, wherein now the barrier of cost effective, high power Upper MMW RF amplification has become one of the last system level challenges to resolve. L3 believes the industry has arrived there, in some instances, and this is close to other innovative solutions that are being completed under IRAD. 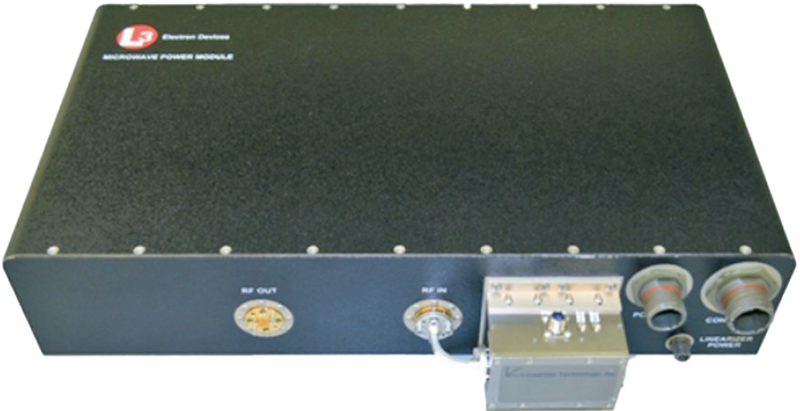 The core serpentine waveguide technology is frequency agile as well as a great broadband performer with advanced modeling showing stable capability even over a full 70-100 GHz range. Thankfully, the company has been working for a decade on technology maturation and now have functional demonstration hardware available for future system developers of experimental gateway, backhaul and even airborne (near antenna mount) applications to enable rapid exploration and testing for advanced feasibility. While full system deployments may still be a few years away, L3 has the enabling technology available now for developers to start building and testing tangible Upper MMW communications subsystems. How is L3 EDD Enabling the Q/V segment? From a product perspective, the company is already actively working on Space TWTA application insertions. The overall segment, inclusive of uplink, is also a natural fit for L3’s existing MPM line, as specifically derived from the Ka-/Q- and Q-band products, which are inherently broadband. Both the 47.2 - 51.4 GHz uplink and the 37.5 to 42.5 GHz downlink frequency needs are well within the firm’s immediate technology products arsenal. With the recent consolidation of L3’s San Carlos facility into the company's Torrance, California, operation, the overall goal is to position L3 EDD as the industry’s premier “many choices, one company” solutions provider — especially so in servicing new High Throughput Satellite (HTS) platforms. L3 MPM products can help address existing gaps. All design and manufacturing operations will be fully transitioned to the Torrance site in 2018. This unique confluence will enable the company to better address new performance requirements and cost sensitivities of “ubiquitous” constellations, such as Q/V, where new choices and flexibility are being sought. One shop, one stop. There are reportedly seven or more major Q/V satellite constellation concepts that have been proposed or are under licensing review. While it’s unclear that just one global satellite system builder or operator will be awarded an “all or none” license to control Q/V, the competition for paradigm busting concepts is white hot, including using more “Space COTS” subsystems, such as MPMs (see Figure 1). For some at the leading “launch now” edge, L3 is already fully capable of offering full heritage Space TWTA products to enable new HTS systems per the firm’s press announcement in September, which coincidentally was also highlighted at the L3 exhibition at the recent Satellite Innovation Symposium event. Although the uplink segment is emerging a little more slowly, L3 is planning near term capability to serve system developers with 50 to 150 Watt Q/V devices while also being able to migrate upward to higher power levels for larger Earth station applications once that demand more tangibly presents itself. The bottom line is that while others are talking a lot about Q/V, we are currently actively positioning high reliability products to the marketplace to serve both ends of the comms link system build out. How About the Smallsat Segment? Admittedly, L3 is not seeing strong demand for Upper MMW (above 50 GHz) in the smallsat segment — that may change. No longer some sort of university lab sideshow, the smallsat segment is exciting and dynamic, yet is also quite fragmented. This exploding market segment is also likely to stay that way, meaning that legacy space players who adapt first to that, rather than waiting and hoping it comes back to them, will reap the great rewards. Just look at how SSL, for instance, has adapted to the segment. Similarly, L3 is also adapting, specifically with the company’s ultra-compact NanoMPM (40 to 60 Watts) product line which can serve Microwave and Millimeter Wave frequency needs for Communications or Remote Sensing applications. With an L3 EDD Millimeter Wave NanoMPM, this is about a self-contained RF amplifier that fits into the palm of your hand, weighs 2.5 lbs. and puts out 50 Watts CW. It really doesn’t get much more nimble and flexible than that. 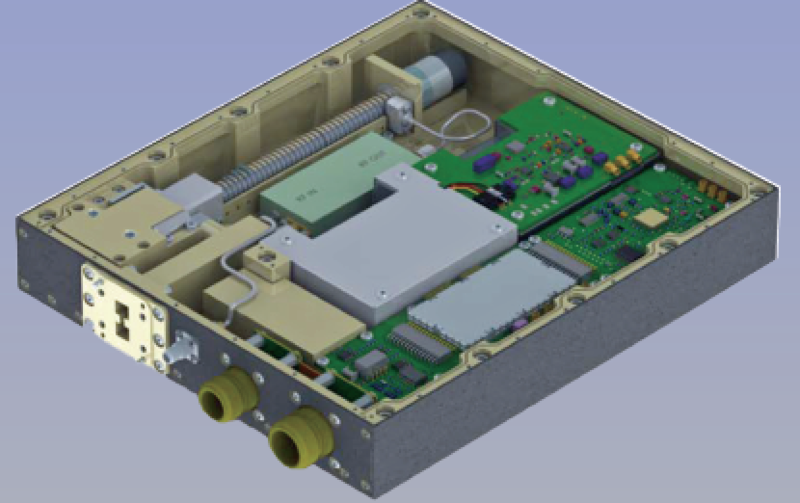 As in airborne applications, L3 is now enabling smallsat system architects to place a compact, self-contained, high efficiency RF power transmitter directly at, or conformal with, the antenna structure itself to preserve volume and mass, also importantly to maximize overall efficiency by reducing typical system plumbing losses that represent a significant penalty in Millimeter Wave (MMW) frequencies. Outside of single purpose smallsats, it’s relatively easy to envision how the Department of Defense’s (DoD) transitional use of UAVs (where L3 EDD MPMs dominated datalink architectures) might parallel the future use and functionality of smallsats. That means quickly deployable, lower cost, swarm-like assets that are mission specific, yet also capable of functioning together or teaming as conceptually exemplified by the Army’s Manned-Unmanned (MUMT) program. When Will MPMs dominate TWTAs in Future Applications? Highly unlikely, not even close actually — L3’s space TWTA technology is so reliable and well developed, all the while being capable of producing functional RF power efficiencies in excess of 70 percent, with flawless performance over extremely long-life service cycles. If anything, by combining MPM and TWTA groups, this will synergistically make both stronger and even more competitively capable with one another, as each compliments one to another. No other company in the world owns the same comparable depth of technology and capability — L3 believes that by offering this unmatched strength of choice, that customers will seek to invest themselves with the company. The goal again is — one company, many solutions — the potential for crossover does exist, but conflict is reduced as the products provide varying solutions. How Long Will it Take for Upper MMW to Make an Impact? An impact is already being made, but that’s probably a better question for those at the satellite builder level. There is already a great number of competitive “first mover” jockeying underway and, with the advent of hosted payloads, the timeline for rapid deployments can be accelerated as never before witnessed. L3 is building Upper MMW RF MPMs currently in low volumes and has, hopefully, invested correctly in terms of being able to power new system designs. The near term demand is likely to be fairly modest, given the amount of conventional Microwave and Millimeter Wave capacity that exists. However, large swaths of high capacity Upper MMW bandwidth, as much as 4 or 5 GHz on each side of the link, is extremely attractive to disruptive forward visionaries. L3’s new MPM technology, inherently broadband capable, is matured to the point where the product can be a great enabler/accelerator for the new Upper MMW paradigm, whatever that eventually might end up becoming.